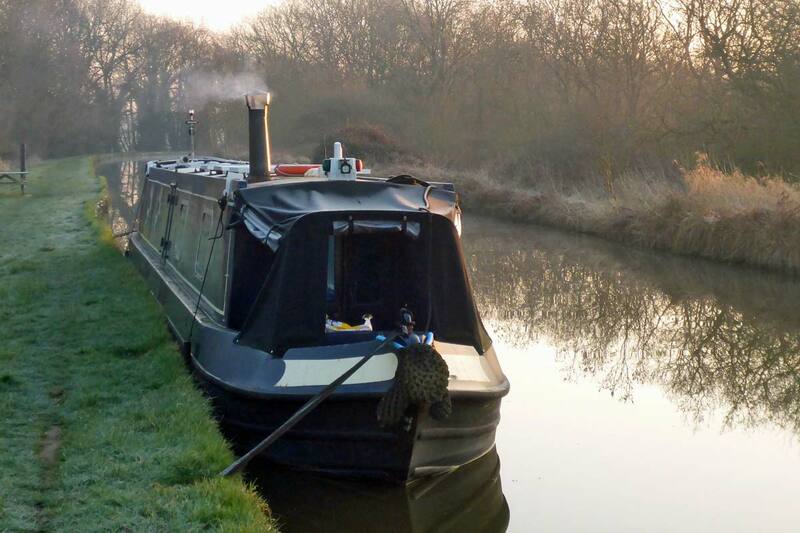 A reminder of February’s weather, a cruise through the repairs at the Middlewich breach – and up through a lock (video) #boating #narrowboat #England – The Diesel-Electric Elephant Company. This video was delayed by our oiking ourselves in for hull blacking, and by generally being in “not-spots” – areas of interwebnetting signal so poor that the mobile masts are all claiming social security – up until a couple of weeks ago. Forget “global warming”, let’s just go with “global weirding” instead. The nonsense mentioned in the previous blog post in re 1and1 internet and their invoice for some three-and-a-half times what they specifically told me the bill would be? Sorted. Baby’s First (TOMY) Bank Account will be receiving a refund for the difference and thank you kindly I should think so too. The nonsense mentioned in the previous blog post in re the Yorkshire Bank? I still haven’t called them back yet, I am letting them wait for the same period that they made me wait for a response of any kind from their “support” department. Then we’ll talk again. I am juggling coal supplies at the moment. Because the overnight temperature is down to zero celsioids or “ruddy chilly” and below I am still getting through the old combustible dinosaur remains. However, I am burning the “emergency” supply, since the Cardinal et moi are moored close enough to easily-obtained supplies (at least, I hope that we are…), and because yonder fuel boat is due past again in a few days. I am trying to avoid having to house any surplus bags on the well-deck for the whole of summer (assuming that we get one). I does like the decks cleared for whatever we gets in the way of a summer. Mr Stove being in his usual “end of season” strop I am more in danger of running out of kindling with which to encourage him back to life after his various “I won’t stay lit” and “I’ve suddenly burned through everything you fed me, what’s next?” episodes. Other than this, in fact including this, there’s really little to no gossip at the moment. What could I possible tell you that would seem significant given that my country is staggering about the world stage at the moment in the lamest, most ham-laden am-dram nonsense of a death-after-two-thousand-magnificent-years scene? Had I the transport (or the energy) this would be a fine time in which to visit the graves of England’s past kings and queens, statesmen and so forth. Cromwell’s grave is smoking very nicely, he is thought to be doing about two-thousand rpm down there, and the friction is giving him a sort of incandescent glow. Churchill appears, from the ground-radar, to be spinning on a lateral axis rather than a vertical one (relative to the human frame, head to toe via the centre of gravity – the wallet), and he’s scorched a disc of some 5′ 7″ diameter in the grounds of St Martin’s Church, Bladon. Henry VIII is the exception, we don’t think that he’s spinning in his grave. From the aroma the best theory is that he has just burst with apoplexy. E.D.F. (Électricité de France S.A.) have apparently been in talks this afternoon with May and Corbyn, they intend to hook up our spinning National historical figures to dynamos, and to sell us the electricity thus produced at four francs twoppence ha’penny a unit plus E.U. VAT and Le Tax d’Anglais. Apparently the only fliegen in the salbe is that Germany now owns all of our Historical Figures and any energy produced therefrom via spinning once morted. Corbyn and May have put their not inconsiderable minds together and have decided that we’ll pay both France and Germany for the electricity produced, plus when it runs out they will get to keep the infrastructure. Oh well. Plus ca change, plus c’est la meme Reich. Time, I suppose, to get out the cauldron and the paddle and produce another curry, something to drive out the demons. Right, I had best away and poke Mr Stove again to prepare him for tonight’s excursion down to Two of the Celsius. Must find my nose-cosy, too, j.i.c. he throws a hissy-fit at three of the morning o’clockery. Thank you for showing a lovely tranquil trip is always good and calming whilst watching ones country sink into oblivion. I especially loved the special effects that put you running faster than a passing jogger and the spooky shadowman. I would definitely feel claustrophobic if I were to really be in the lock at the bottom! You must expend an awful lot of energy in the course of a day. Yep, 55.7 “billion” (I am old-fashioned, I still call them thousand millions, my billion being a million million, not a thousand million)! £55,700,000,000 or roughly $73,000,000,000 in ‘Merrycan dollary. This for a railway “improvement” for a line from Nowhere to Whocares. Most of the money will go in bribes, and to land-owners and to the politicians rich friends in the big construction companies. It is supposed to be a 250mph train line (getting people in a rush from Nowhere to Whocares!) but I’ll bet my share that speeds never get above 125mph. It’s just another nonsense. Always look forward to your tales of life on the high ripples, your words are endowed with the fragrance of stagnant waters encrusted with duckweed and tadpole jelly. Super, keep it up. I like your ‘venerable Chinese gentleman’ avatar.